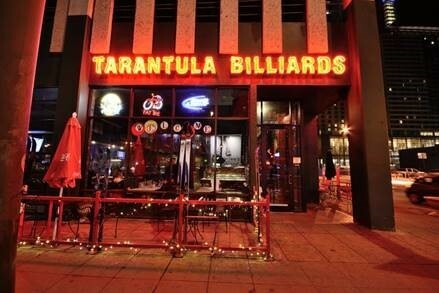 Please join us for our next Young Professionals event from 5-7 pm on Tuesday, September 25th, at Tarantula Billiards, 1520 Stout Street, Denver, CO 80202. At this Rocky Mountain States Section AWMA Young Professionals event, we will enjoy getting to know other AWMA members with a game night. Attendees will be split into groups designed to meet and network with new people. Examples of the games available are: pool, foosball, air hockey, shuffle board, heads up, and various other card/board games. Drinks are on you but hors d’oeuvres will be provided. Please RSVP to Roxana Meza at roxana.meza@marquezenvironmental.com by Thursday, September 20th. What’s a “Young Professional?” That depends. AWMA charges members age 35 or younger a lower membership fee — but you don’t have to be that young to attend; if you’re interested, RSVP and come! We love new members, so feel free to share this invitation with colleagues. This entry was posted in Young Professionals. Bookmark the permalink.